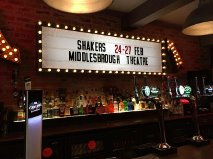 Welcome to Shakers, where the guys come to drink, the girls come to dance and many a drunken tale is told under the watchful eyes of Adele, Carol, Mel and Nikki. But these girls do so much more than watch, they listen, they smile and they seem to live this job each and every evening. Taking us back to the glamour and glits of an 80's cocktail bar, less is MORE present the classic all female comedy Shakers. 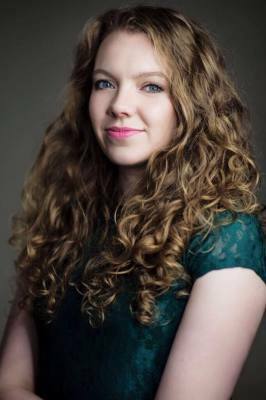 Laura was born and bred in Middlesbrough, she has trained at Sylvia Young Theatre School and The Academy of Live and Recorded Arts (ALRA). Hull Truck was where Laura made her debut performance, as Mandy Wild in “Studs.” It was a number one tour around England and was well received by a wide range of audiences. 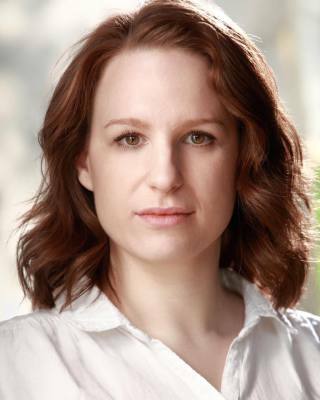 Laura’s other theatre credits include; Dora Strang - Equus - Lion Eagles Theatre, Maggie Hobson - Hobson’s Choice - Lion Eagles Theatre, Like a Virgin - Maxine - National tour, Studs - Mandy Wild - Arc, The Shy gas man - Sheila - Southwark Playhouse, Beautiful Thing – Sandra. Laramie Project - Reggie Fluety. Miss Crispy 1988 (Tour) – Denise. Your Home In The West – Jean all with less is MORE productions. Dressing up as a 1970’s bride was Laura’s first T.V. role, in The Royal, where she played Denise a beautiful blushing bride with very big hair! Her other T.V. credits include; Eustace brothers - Nancy - BBC, Bodies - Tracy - BBC, Mrs David - Barbra - BBC, Rocket man - Sara - BBC and in Dalziel and Pascoe - Sandra - BBC. Sarah is originally from Middlesbrough and has enjoyed musical theatre from a young age. After training locally she then attended Arts Educational and completed a foundation course, after gaining a full scholarship Sarah went on to train in performing arts for 3 years at The Italia Conti Academy. As well as teaching Sarah also sings with a wartime vintage band The DooWop Dollies. Rosie trained at Royal Central School of Speech and Drama. Recent theatre credits include The Rooms - Meat Factory (Shirley Dobson OBE), Alphabetti Theatre; 10 Minutes to...Make a Memory, Live Theatre; And A Nightingale Sang (Peggy), Less is MORE, Middlesbrough Theatre; Rehearsed reading of Day of The Flymo (Karen), Live Theatre. 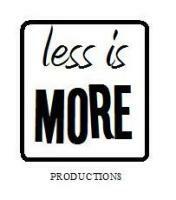 Rosie is delighted to be returning to work with the fabulous team at Less is MORE and thrilled to be treading the boards once again in the stunning Middlesbrough Theatre - what a treat! 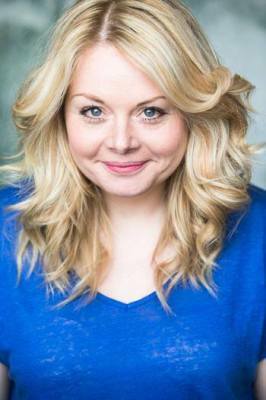 Sarah is a North-East based actor who has performed in a number of shows around the region. 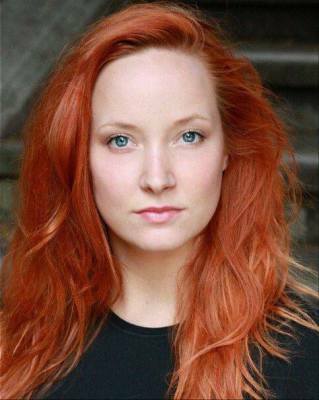 She has recently performed as Nellie Chapman in Catherine Cookson’s ‘The Cinder Path’ (Ion Productions). She has also performed in the Season of ‘Plays in the Park’ in Sunderland which included Hamlet, Treasure Island and Twelfth Night (Theatre Space NE). Other theatre credits include; Waiting For Gateaux (Ion Productions), Romeo and Juliet (Theatre Space NE), Santa’s Naughty Elf, Wendy the Witch, The Three Little Pigs, Silly Simon the Sailor (Made4Stage Theatre), By the Pricking of my Thumbs (KG productions) The Last Drop (Precious Cargo Collective), One Small Case (Curious Monkey). Sarah is delighted to be making her debut in Middlesbrough and is very excited for her first performance with Less is MORE Productions. 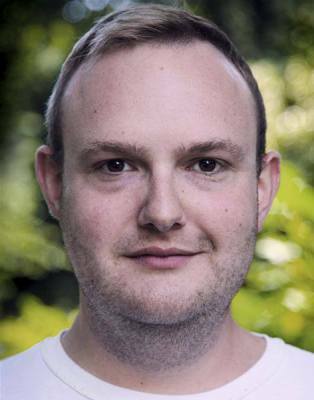 Bringing a wealth of knowledge and experience to the production is our Director Tom Guest. Tom is a North East based actor and director. He trained at Bretton Hall and LIPA before working for companies such as Northern Broadsides, The Gala Theatre, Northern Stage, The West Yorkshire Playhouse and The Rose in Kingston. He lectured in Musical Theatre at Newcastle College on their FE and HE programmes and previously directed 'And a Nightingale Sang' for Middlesbrough Theatre and less is MORE Productions. In 2014 he was granted the Leverhulme Arts Bursary through the JMK Trust and worked alongside Annie Rigby as Assistant Director on ‘Up and Out Christmas Sprout’ at Northern Stage. ‘Shakers’ is the cocktail bar to be seen in, the place to pick up, chat up or unwind. The establishment employs four waitresses, all with their own back story, giving you an insight to their hopes, dreams and disappointments. Set in the bar it goes straight into various scenarios involving the waitresses and various customers. The four actors play a variety of characters, in different situations, male and female, all very convincingly and at great speed. The first girl to reveal her background is Carol (Laura Lonsdale) an academic with a degree, is stuck working in a bar; Mel (Rosie Stancliffe) mourns the loss of her father for herself and mother. Nikki (Sarah Boulter) is an aspiring actor concerned about her gran whilst Adele (Sarah York) is concerned about her partner and her dark secret. The simple but effective set has a star cloth, setting off the pink bar, neon sign, high chairs and tables. Two movable blocks create many other settings such as counters, changing rooms, toilets and tills. The first half delivers comedy sketches thick and fast with well executed one liners producing much laughter. The shorter second half begins with a very amusing song routine, relying on movement instead of lines and contains two revealing, more serious monologues which brought light and shade to the content. Nikki’s monologue was very touching and made the character more real as Adele’s revelation did. The show could stand more of this honesty. Written by the Yorkshire playwright John Godber and Jane Thorton, a partnership that has produced several plays. Godber has been named as the third most popular playwright after Shakespeare and Alan Acykbourn, no mean claim to fame, alongside having written for TV series like Brookside and Grange Hill. The young student audience certainly appreciated the humour on offer. ‘Less is More Productions’ set up in 2009 by Laura Lonsdale and David Tuffnell, strive to give opportunities to young Northern Eastern performers and produce new innovative work: whilst ‘Shakers’ is not new it is still topical on many levels. Cocktails are the drink of the moment and the four waitress stories are timeless. The four girls are obviously all talented actors, with excellent comedy delivery, sad they do not get the chance to show more variation of mood; an abortion is a tragic experience, possibly life changing; losing a parent, at a relatively young age is very emotionally upsetting, two examples of where more in-depth character study could elevate the show to another level. More moments of pathos would even enhance the humour. This production may benefit from less concentration given to full on comedy sketches delivered speedily and relentlessly with more attention to developing individual characters, giving the show more variety of pace and interest.